Chipotle chile, cilantro, garlic, onion and salt makes this smokey blend our best selling shaker. Salt, Garlic, Onion, Chipotle Chile, and Cilantro. I discovered Desert Gardens seasoning at the Olive pit in central California while on a road trip over 15 years ago and have had it in my kitchen ever since. 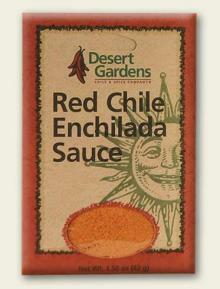 Try it it’s great, I’ve gotten a number of people hooked various Desert Gardens Seasonings. The Chipotle has a great smoky flavor to it. What I use this seasoning for most is a particular fish taco white sauce that I make. No one can ever figure out exactly what is in the sauce but they love it. This is my go-to seasoning. It’s my secret ingredient in scrambled eggs and I use it as a rub on salmon before I slow cook on my Traeger Grill. I also mix it into frozen corn before popping in the microwave. Makes easy recipes taste gourmet. This is the BEST! My husband and I put it on almost everything – meat, vegetables, eggs, stews, chili, soups, etc. We have the jalapeno and chili spices, too, and they are good, but nothing beats the chipotle seasoning!